There are many possible reasons for Widows 10 upgrade to fail. 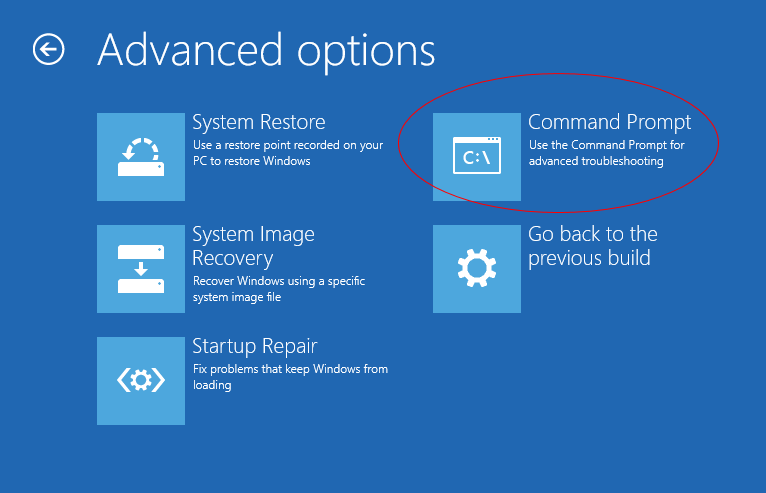 Whether you are upgrading from an older version of Windows, such as Windows 7 or Windows 8, or from a previous build of Windows 10 itself, if the upgrade is failing, the first things to check are the obvious ones: search the web for the error message displayed and see what others might have done about it, check your C: drive for errors, remove any old software that might be incompatible with Windows 10, etc. If you tried such things, but Windows 10 still fails to upgrade without giving an obvious explanation, for example, if the upgrade reaches a certain percentage point and then stalls there for hours, and when you try the upgrade again, it stalls again, perhaps at a different percentage point, one of the possibilities is that the BCD on your computer is corrupted and that's stopping Windows 10 from upgrading properly. 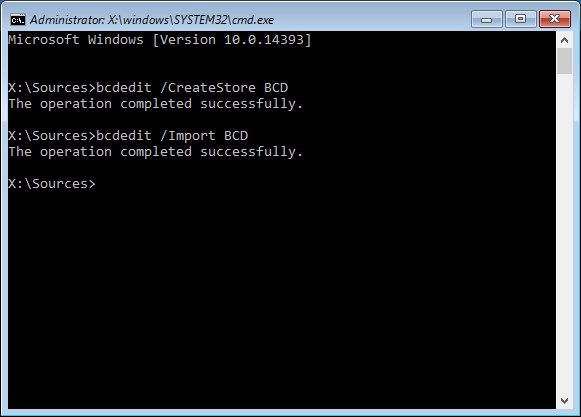 What is BCD, you might be wondering? 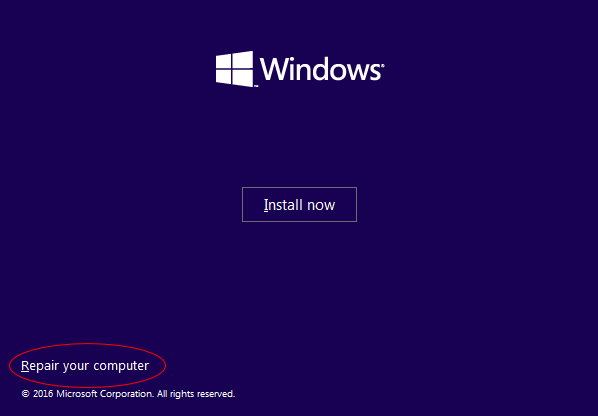 It stands for Boot Configuration Data, and it's a set of files that Windows is using internally when it starts your computer. It is used by Windows upgrade procedure, too, and if something is wrong with it, Windows upgrade fails. This article explains how to repair the BCD. DISCLAIMER: THE INFORMATION DISCUSSED HERE CAN CAUSE HARM TO YOUR COMPUTER, INCLUDING BUT NOT LIMITED TO: THE IRREPAIRABLE DAMAGE TO THE FILES, MAKING THE COMPUTER INOPERABLE, AND/OR VOIDING THE COMPUTER MANUFACTURER'S WARRANTY. YOUR COMPUTER MAY BE INCOMPATIBLE WITH THE INFORMATION DISCUSSED HERE. THE INFORMATION DISCUSSED HERE INVOLVES THIRD-PARTY TOOLS THAT HAVE NOT BEEN TESTED BY WINABILITY SOFTWARE CORPORATION. THE USE OF THE TOOLS AND INFORMATION DISCUSSED HERE MAY BE ILLEGAL IN YOUR JURISDICTION. THE INFORMATION DISCUSSED HERE IS PROVIDED "AS-IS" WITHOUT WARRANTY OF ANY KIND. THE INFORMATION AND TOOLS DISCUSSED HERE MAY BE INCORRECT, OUTDATED, INVALID, OR HARMFUL. BY USING THE INFORMATION AND TOOLS DISCUSSED HERE YOU AGREE WITHOUT EXCEPTION THAT YOU WILL BE THE SOLE RESPONSIBLE PARTY FOR DETERMINING WHETHER THIS INFORMATION AND TOOLS ARE SUITABLE FOR USE BY YOU, AND YOU AGREE THAT ALL RISK ARISING FROM ANY USE OR MISUSE OF THE INFORMATION AND TOOLS WILL REMAIN WITH YOU. THE INFORMATION AND TOOLS DISCUSSED HERE ARE NOT SUPPORTED BY WINABILITY SOFTWARE CORPORATION. SHOULD YOU HAVE ANY FURTHER QUESTIONS OR ASSISTANCE WITH REGARD TO THE INFORMATION AND TOOLS DISCUSSED HERE YOU SHOULD SEEK COMPETENT LEGAL AND/OR TECHNICAL ADVICE FROM QUALIFIED PROFESSIONALS. WINABILITY SOFTWARE CORPORATION PROVIDES THIS INFORMATION "AS-IS." NEITHER WINABILITY SOFTWARE CORPORATION NOR ANY OF ITS SUPPLIERS OR RESELLERS MAKES ANY WARRANTY OF ANY KIND, EXPRESS OR IMPLIED. WINABILITY SOFTWARE CORPORATION AND ITS SUPPLIERS SPECIFICALLY DISCLAIM THE IMPLIED WARRANTIES OF TITLE, NON-INFRINGEMENT, MERCHANTABILITY, FITNESS FOR A PARTICULAR PURPOSE, SYSTEM INTEGRATION, AND DATA ACCURACY. THERE IS NO WARRANTY OR GUARANTEE THAT THE OPERATION OF THE SOFTWARE WILL BE UNINTERRUPTED, ERROR-FREE, OR VIRUS-FREE, OR THAT THE SOFTWARE WILL MEET ANY PARTICULAR CRITERIA OF PERFORMANCE, QUALITY, ACCURACY, PURPOSE, OR NEED. YOU ASSUME THE ENTIRE RISK OF SELECTION, INSTALLATION, AND USE OF THE SOFTWARE. THIS DISCLAIMER OF WARRANTY CONSTITUTES AN ESSENTIAL PART OF THIS AGREEMENT. NO USE OF THE SOFTWARE IS AUTHORIZED HEREUNDER EXCEPT UNDER THIS DISCLAIMER. To the extent that this Warranty Statement is inconsistent with the jurisdiction where You use the Software, the Warranty Statement shall be deemed to be modified consistent with such local law. Under such local law, certain limitations may not apply, and you may have additional rights which vary from jurisdiction to jurisdiction. For example, some states in the United States and some jurisdictions outside the United States may: (i) preclude the disclaimers and limitations of this Warranty Statement from limiting the rights of a consumer; (ii) otherwise restrict the ability of a manufacturer to make such disclaimers or to impose such limitations; or (iii) grant the consumer additional legal rights, specify the duration of implied warranties which the manufacturer cannot disclaim, or prohibit limitations on how long an implied warranty lasts. INDEPENDENT OF THE FORGOING PROVISIONS, IN NO EVENT AND UNDER NO LEGAL THEORY, INCLUDING WITHOUT LIMITATION, TORT, CONTRACT, OR STRICT PRODUCTS LIABILITY, SHALL WINABILITY SOFTWARE CORPORATION OR ANY OF ITS SUPPLIERS BE LIABLE TO YOU OR ANY OTHER PERSON OR ENTITY FOR ANY INDIRECT, SPECIAL, INCIDENTAL, OR CONSEQUENTIAL DAMAGES OF ANY KIND, INCLUDING WITHOUT LIMITATION, DAMAGES FOR LOSS OF GOODWILL, WORK STOPPAGE, COMPUTER MALFUNCTION, OR ANY OTHER KIND OF COMMERCIAL DAMAGE, EVEN IF WINABILITY SOFTWARE CORPORATION HAS BEEN ADVISED OF THE POSSIBILITY OF SUCH DAMAGES. THIS LIMITATION SHALL NOT APPLY TO LIABILITY FOR DEATH OR PERSONAL INJURY TO THE EXTENT PROHIBITED BY APPLICABLE LAW. IN NO EVENT SHALL WINABILITY SOFTWARE CORPORATION'S LIABILITY FOR ACTUAL DAMAGES FOR ANY CAUSE WHATSOEVER, AND REGARDLESS OF THE FORM OF ACTION, EXCEED THE AMOUNT OF THE PURCHASE PRICE PAID FOR THE SOFTWARE LICENSE OR ONE UNITED STATES DOLLAR, WHICHEVER IS THE GREATER. Now close the Command prompt, restart the computer as usual, and try to upgrade to Windows 10 again. Chances are, the upgrade will now succeed! It not, then sorry, the problem on your computer was something else. See below before pressing the SUBMIT button! What is six minus 5 ?